Franco Nguyen is thirty years old and lives with his mother. 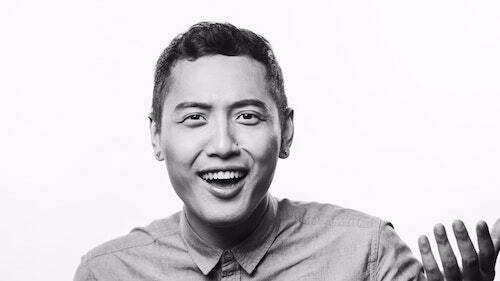 The Toronto-based comedian’s complex relationship with his Vietnamese immigrant mom is the basis of his touching comedic memoir Good Morning, Viet Mom, now playing as part of the 2018 Next Stage Theatre Festival. At the top of the show, Nguyen launches into what feels deceptively like a run-of-the-mill stand-up set. He rhymes off jokes about people not being able to tell Chinese and Vietnamese people apart and takes digs at Matt Damon and Scarlett Johansson for starring in whitewashed Hollywood films. Nguyen establishes a great rhythm and sense of timing with his delivery, even if the jokes in his opener are a bit too on-the-nose. But it turns out this light material is a calculated device Nguyen uses to draw the audience in and win us over with his affable personality. It’s a warm-up act for the more substantial material to come later in the show. When he veers into stories from his childhood, sketching out episodes from his parents’ fraught relationship, their subsequent divorce and his trips to Vietnam as a film student to discover his family’s roots while working on a thesis project, Nguyen and the show are at their most compelling. While the show is written in such a way as to be accessible by a broad audience, as a second-gen immigrant, I definitely related personally to a lot of the themes the show touches on: the burden children of immigrants face bridging the cultural divide, acting as de facto translators for our parents, and the debt of gratitude we feel toward our parents for the sacrifices they made to give us a better life. Autobiographical solo shows are common in Fringe Festivals, but they’re very difficult to do well. Thankfully, it’s apparent that a lot of work has gone into the development of Nguyen’s script and his extensive experience and training in comedy serve him well as he performs the often deeply personal material with panache and a sense of comfort and ease. With the help of director Byron Abaolos, Nguyen carefully navigates the tone of the piece. He eschews the instinct to go for the bigger laugh or to dwell on an emotional moment for a greater sense of pathos resulting in a focused, well-balanced show. As a performer, Nguyen has a deft ability to make the piece feel light yet personal and maintains a sense of authenticity throughout his performance. Good Morning, Viet Mom alternately made me laugh and cry, and Nguyen’s tightly honed script and winsome performance are well worth checking out at this year’s Next Stage Theatre Festival.